Poem of the Week -Vol. 1 & 2 (40 Poems Questions) Bundle for Entire Year! Poetry should be part of any language arts program. 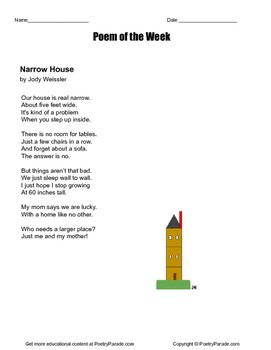 The poems of the week created by Jody Weissler are very popular in classroom morning business routines and are often included in the weekly HW packets. 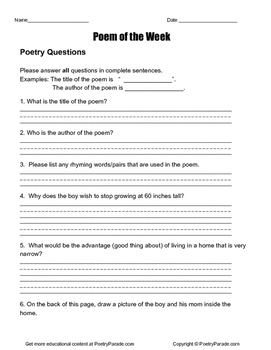 The poem "Narrow House" includes the original poems as well as questions.